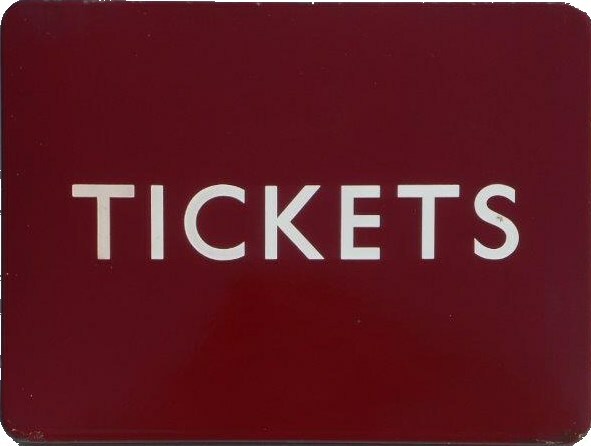 Lot 122 BR (M) F/F Enamel Station Sign "TICKETS". Size 24 x 18". In Good Condition.